Connecting Greater Phoenix gardeners with information that helps put xeriscape principles into action. Yes, they are messy. Yes, they are mean (with their thorns). 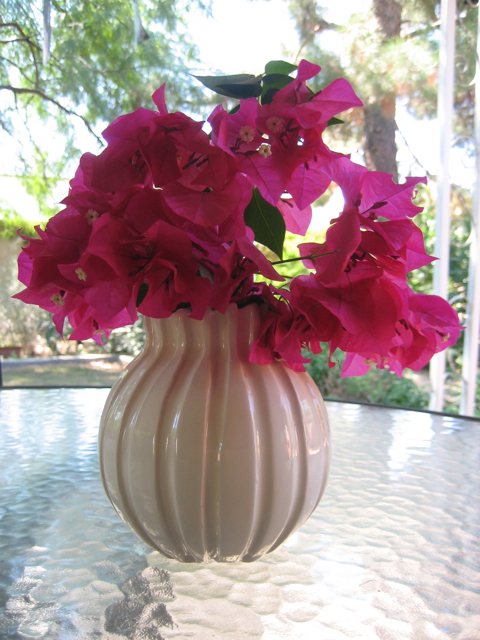 But I get my revenge by making Bougainvillea work for me. That is, I clip bunches of flowers (being careful to avoid the inch-long thorns) and put them in a vase for display on my tables, inside and out. They are a quick flash of color for when unexpected guests come.